41st day of the year. There were then 324 days left in 2019. 52nd day of Winter. There were 38 days left till Spring. 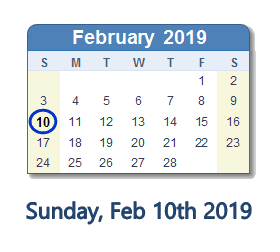 What happened on February 10th 2019? Imfact to hold a European tour!